My wild SF adventure Million Mile Road Trip is being published in hardback and paperback by Night Shade Books in May. And I'll publish the ebook version via my Transreal books. Also I'm publishing my novel's companion, Notes for Million Mile Road Trip. There's a fun video trailer for the book at the top of the Kickstarter page, so if nothing else, take a look at that. It's fast-paced. 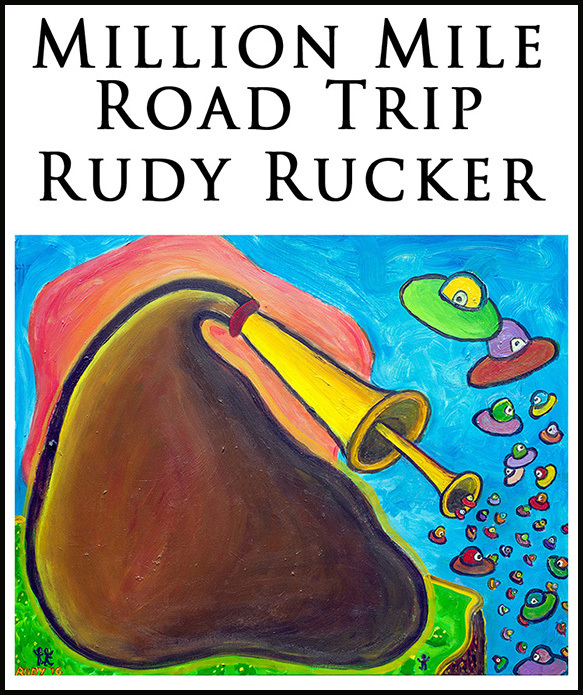 And the permanent Million Mile Road Trip home page is http://www.rudyrucker.com/millionmileroadtrip.